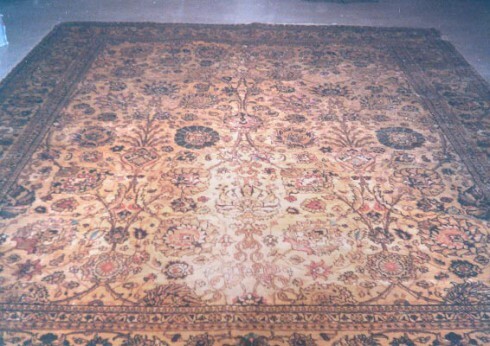 THE TABRIZ RUG - Boasts large families of carpet weavers that have passed down the art through generations. Situated in northwestern Iran, Tabriz is the fourth largest city in the country and has been set apart as the capital of the East Azerbaijan Province known for its proximity to the Quru and Aji rivers. Tabriz currently boasts roughly 3 million residents who proudly serve in the automobile, machine tools, oil and petrochemical industries, all of which play a tremendous role in the Iranian economy. Also well-known for its concentration of artisans, painters, musicians, and writers, the city has made significant cultural contributions to the country of Iran, adopting a nationwide movement in the arts known by the expression “Tabrizian style”. 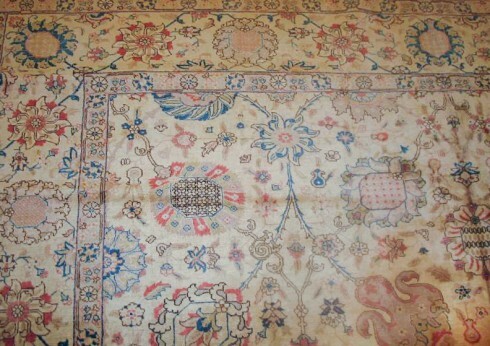 Though the city has encountered several devastating earthquakes in its history, residents of the Tabriz have continued to produce some of the most beautiful and desirable Persian rugs in the marketplace. 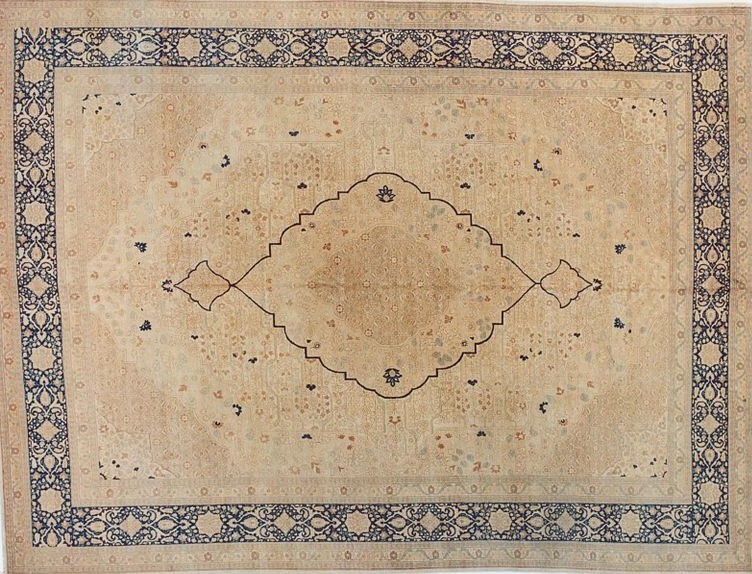 Many of the rugs and carpets from the Tabriz rug’s early period can be grouped under the common name “Lachak turanj”, which featured patterned borders representing the scales of a fish rising to the water’s surface in admiration of the moon’s reflection. Their interiors often included more complicated, metaphorical topics derived from the works of highly regarded Oriental poets and the hand-painted covers of ancient books. These themes typically depicted various scenes of the practice of falconry, lions ferociously approaching their prey, or historic battles that had taken place in the region. 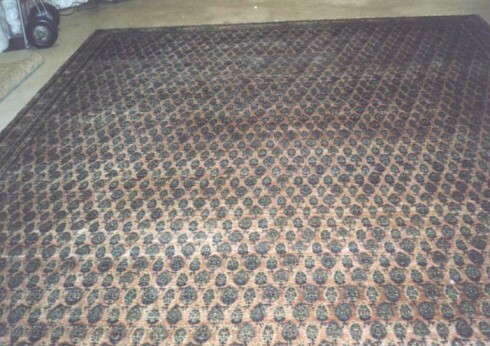 Today, Tabriz boasts large families of carpet weavers that have passed down the art through generations, regarding the work as a valued inheritance among its sects. Because of this, the subjects displayed on Tabriz rugs will often feature familial patterns and colors that represent the ancestry from which they originate. Nonetheless, common themes do become evident in their study. Among these are ornamental patterns often representing the four seasons, agricultural scenery, and religious iconography that are central to the region. The dyes frequently employed involve the utilization of commanding reds and blues on cream-colored backgrounds, carefully knotted together with olive greens and khaki to create moderately dense rugs of all sizes. The execution of the weaves, using high-quality wool and cotton materials, render this rug one of the most exquisite in Persian rug artistry, coming together to form a balanced design found in luxury residences and religious establishments around the world.